Formula with vitamins and aloe vera gel. Cleanses the vaginal area while . 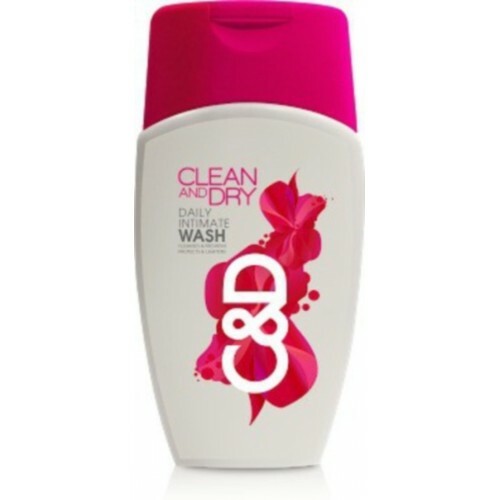 Clean and Dry Daily Intimate Washis the one first of its kind in India. Clean and Dry Wash is important part of the revolutionary range of products for feminine hygiene. It Keeps you clean and confident with no worry about smell and protects and cleanses the vaginal area and maintains the necessary pH balance. It contains Aloe Vera for nourishment, vita B3 and T-Tree oil that protect your sensitive skin down there. It helps you to feel fresh and special every day.